GSM, cdmaOne and 3G Systems provides the reader with a comprehensive and unique description of the two leading second generation cellular radio systems: the global system for mobile communication (GSM) and cmdaOne. This novel approach encompasses a two-chapter format for both systems. One chapter follows a descriptive approach of a system, whilst the second chapter takes on an analytical stance. This imaginative strategy enables readers to by-pass the analysis if they so wish and concentrate on system descriptions. The focus then moves towards the forthcoming third generation (3G) cellular systems. Such a creative approach will have wide-ranging appeal to a large audience including practising engineers in the mobile radio industry, academics and the research and development community. 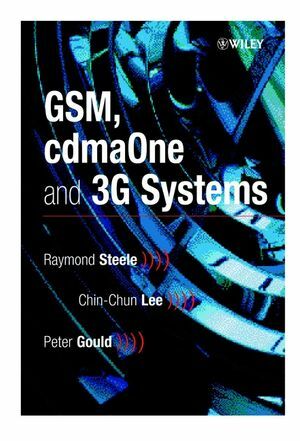 Raymond Steele is the author of GSM, cdmaOne and 3G Systems, published by Wiley. Chin-Chun Lee is the author of GSM, cdmaOne and 3G Systems, published by Wiley. Evolution of GSM and cdmaOne to 3G Systems.